J. Palisa discovered asteroid #260 Huberta. A. Charlois discovered asteroid #300 Geraldina. P. Gotz discovered asteroid #545 Messalina. "SOS" was adopted as distress signal at the Second International Conference on Wireless Telegraphy in Berlin. The U.S. did not officially adopt "SOS" until 1912. J. Palisa discovered asteroid #703 Noemi. J. Palisa discovered asteroid #719 Albert. G. Neujmin discovered asteroid #1135 Colchis. S. Arend discovered asteroid #1171 Rusthawelia. E. Delporte discovered asteroid #1350 Rosselia; G. Neujmin discovered asteroid #1671 Chaika. Pelageya Shajn discovered asteroids #1390 Abastumani, #2445 Blazhko and #3080 Moisseiev. L. Oterma discovered asteroid #2774 Tenojoki. Germany first successfully launched a full-range A-4 (V-2) rocket from Test Stand VII at Peenemunde to an 85 km altitude (53 miles), described by Dornberger as starting a "new era in transportation, that of space travel..." in a speech at the launch site. The first successful launch and flight of the 5 ton German A-4 rocket (V-2) by Wernher Von Braun's team from Test Stand VII at Peenemunde, Germany took place on 3 October 1942, which traveled 190 km downrange with an apogee of 85 km (53 miles). The engine burned for 58 seconds, and the total flight time was 296 seconds. The missile impacted 6 degrees left of the intended course. It was the first man-made object to reach space. Goethe Link Observatory discovered asteroid #1721 Wells. The first commercially available atomic clock, the Atomichron manufactured by the National Company, Inc. of Malden, Massachusetts, was unveiled in a paneled room of the Overseas Press Club in New York City. 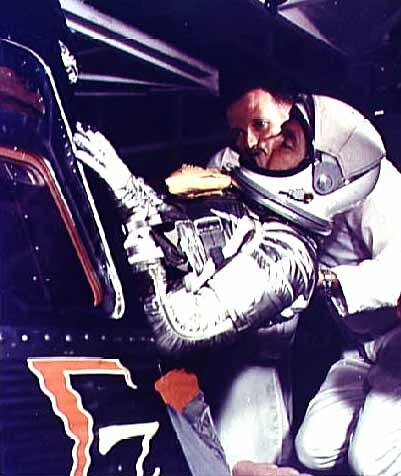 With the launch of NASA's Mercury Atlas 8 (MA-8, named "Sigma 7"), Wally Schirra became the third American to orbit Earth. USSR launched the Molniya 1-6 communications satellite from Baikonur for operation of the long range telephone and telegraph radio communication system, and transmission of USSR Central Television programs to the stations of the Orbita network. NASA/USAF launched X-15A-2 TPS/Ramjet/Mach 6.7 Test mission # 188 with a full ablative coating, dummy ramjet, and a mechanical eyelid in which Pete Knight set an unofficial world speed record (7274 kph, 4519 mph, Mach 6.70) and reached 31.120 km altitude. The Soviet vessel Vasiliy Golovnin docked at Bombay with the Zond 5 L1 capsule aboard, enroute back to the USSR on its return from the first circumlunar Earth return mission. ESA's Aurorae (ESRO 1A) technology satellite was launched into orbit from Vandenberg, California, on a Scout booster, for aurora and polar ionosphere investigations. N. Chernykh discovered asteroid #2420 Ciurlionis; L. Chernykh discovered asteroids #2132 Zhukov, #2457, #2907 Nekrasov, #2998 Berendeya, #3273 Drukar, #3321 and #3523. USSR launched Cosmos 1033 from Plesetsk, a Resurs surveillance satellite described as being for investigation of the natural resources of the Earth in the interests of various branches of the USSR's national economy and international cooperation. USSR launched Ekran 4 from Baikonur, to transmit USSR central television programs to the collective use receiver network, positioned in geosynchronous orbit at 99 deg E.
Z. Vavrova discovered asteroids #2442 Corbett, #2620 and #3479 Malaparte. USSR launched Molniya 3-26 from Plestesk to operate the long range telephone and telegraph radio communications system in the USSR, and transmit USSR Central Television programs to stations in the Orbita and cooperating international networks. NASA launched STS 51J (Atlantis 1, 21st Shuttle mission) on a classified Department of Defense (DOD) mission. NASA's STS 26 (Discovery 7, 26th Shuttle mission) returned to Earth after carrying the Tracking and Data Relay Satellite-3 (TDRS-C) to orbit in the return-to-flight mission following the Challenger disaster. Russia launched Soyuz TM-20 from Baikonur to the Mir space station with cosmonauts Alexander Viktorenko (Russia), Elena Kondakova (Russia) and Ulf Merbold (ESA-Germany) aboard. NASA's STS 86 (Atlantis 20, 87th Shuttle mission) pulled away from the Russian Mir space station, ending the joint operations of the seventh Shuttle-Mir mission. A Taurus booster launched from Vandenberg, California, carried the US NRO STEX and NRL ATEx satellites to orbit. STEX tested the TAL-D55 plasma engine. 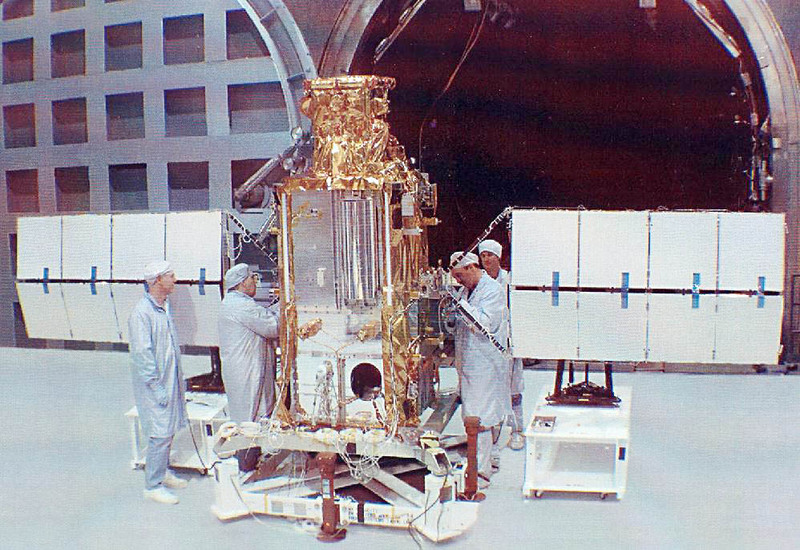 ATEx (Advanced Tether Experiment) was released as a subsatellite, its tether deployed incorrectly.